An exceptional sailing vessel, Pacific Seacraft are known for their sailing and cruising capabilities. Her design and build quality make for a solid and capable Bluewater cruiser with a handsome traditional look. Boasting an attractive shear line, generous overhangs, and a shapely canoe stern she presents with just as much beauty as she does exceptional sailing characteristics. The construction is top notch and well proven with a solid fiberglass hull, a fiberglass sandwich deck joined to the hull with a molded bulwark, and box joint topped off with a finished teak cap rail. Below the waterline the shoal draft fin keel features a cutaway fore and aft with a full skeg rudder and protected propeller. Her well-proven hull is designed to minimize crew fatigue while the exceptionally balanced cutter rig is designed to be easily and safely sailed with all lines led aft to the cockpit. 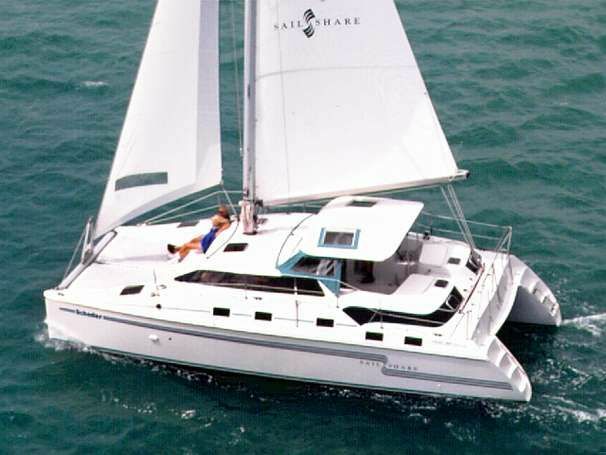 Notable features include 30-inch-high sturdy stanchions, double bow roller, oversized and uncompromising deck fittings, and a fantastic sail plan which includes mainsail with full battens and two reef points, high cut yankee, and 130 percent Genoa. 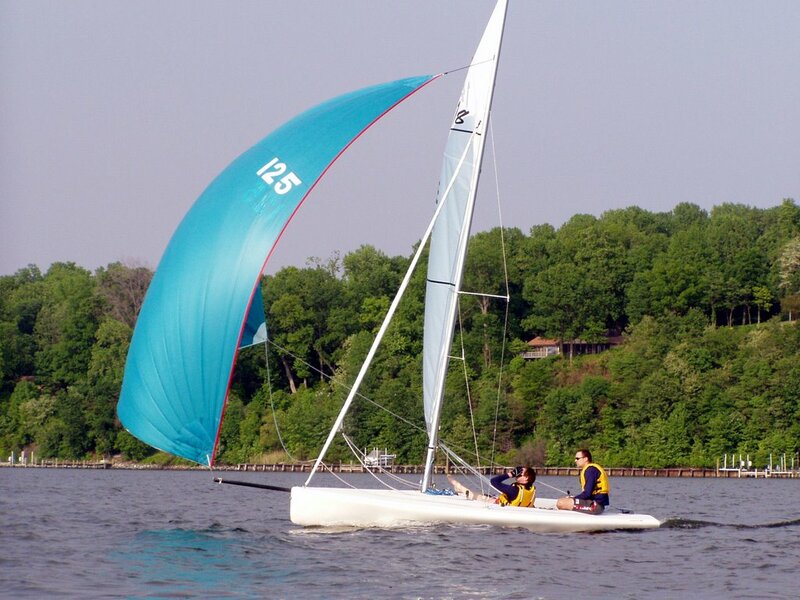 Both headsails include Harken roller furling. The Pacific Seacraft 37s sailing journeys have been well documented and she is a frequent sight at many far-off anchorages. LAST DANCE has been well kept by her original owner and is ready for many more miles under her keel. 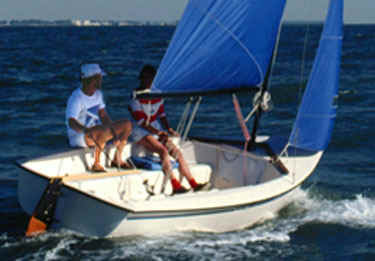 This is an ideal boat for blue water sailing. 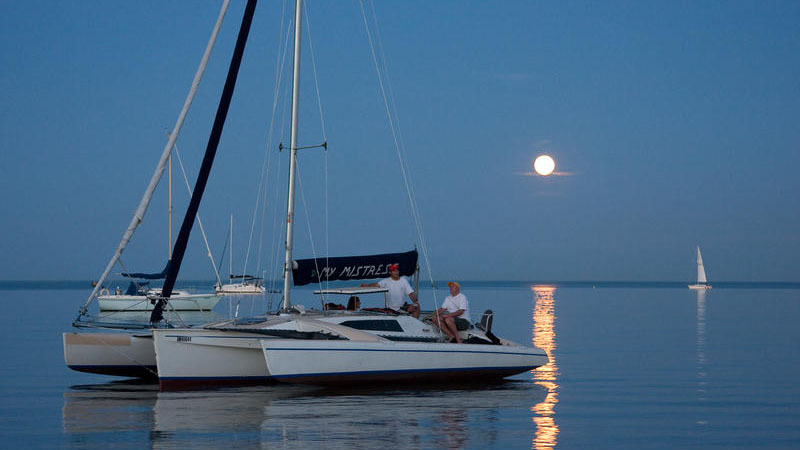 This is a great boat for a single-hander or a cruising couple. The sail plan is easy to manage whether sailing in a light breeze in the local river or bay or in a gale in the middle of the ocean. 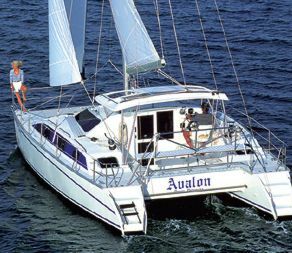 Her beautiful shear lines will look good in any marina and her sensible design will sail well in any ocean. 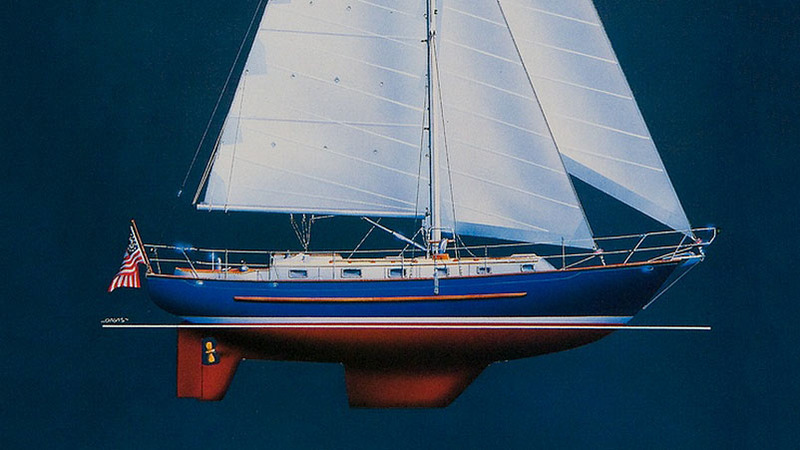 Very few 37-foot boats can compare with the Pacific Seacraft 37. Don’t miss this exceptional opportunity to own a beautiful Pacific Seacraft 37. “LAST DANCE” is not ready to hang up her “sailing shoes” and she is ready to go. Easy to see in New Bern, NC. Below deck the Pacific Seacraft 37 features well-lit and comfortable accommodations with living space designed for life at the dock or while cruising. The teak joinery is exceptional and the deep undertones of the wood compliment well with the light green color of the upholstery. Brass lights and fixtures adorn the interior and provide a sense of timeless seagoing tradition. Ten chromed brass portlights and two overhead hatches lend well to the ventilation of the boat but are well sealed for when underway. The forward cabin includes a rather generously sized offset double berth to starboard with a dressing seat to port. Stowage is exceptional and includes two tall hanging lockers, a set of three drawers, double door stowage compartment, and a hide-a-way bin. There’s additional space for gear below the berth and seat, a mirrored bulkhead with mirror, and convenient access to the chain locker at the forward bulkhead. Adjacent to the forward cabin is a well sized head with vanity with cabinetry above and below, stainless steel sink with pull-out hot/cold shower faucet, a large medicine cabinet, and a nice teak trimmed mirror. Teak wood touches throughout the head include the floor grate, well-positioned grab rail, and a fold-down seat. The main salon offers a generous amount of space with an L-shaped settee to starboard that easily converts to a double berth, twin leaf folding table with wine bottle storage, and a settee to port well suited for a sea berth. The fiddled cabinetry is both beautifully crafted and utilitarian in design. Everything stays nicely tucked into place even while underway in a rough sea. Guest accommodations include a nice sized quarter berth just aft of the navigation station. The chart table offers a well-lit workspace with folding top, wet locker beneath, and a forward-facing seat with stowage under the cushion. The starboard U-shaped galley has abundant stowage for flatware, glassware, and provisions among the well-crafted cabinets above and below the countertop. Amenities include a Force 10 two burner stove, oven with broiler, a segmented top load 12V Alder Barbour cold storage icebox, and double stainless-steel deep sinks with pressurized hot and cold water and manual fresh water foot pump. A rubbish bin is smartly concealed by a butcher block top adjacent to the sink and a smaller butcher block top can be used over one sink. GALLEY: The galleys located along the aft, starboard side of the main cabin and offers excellent food storage and preparation areas that will please even the most discriminating chef. ELECTRICAL: The electrical panel is located outboard of the navigation station. MECHANICAL: The engine compartment is easily accessed by lifting the compartment top. You can gain full access by removing the steps and front cabinet of the compartment. Access to the transmission and other mechanicals are through the removable cockpit hatch. BROKER REMARKS: LAST DANCE is not ready for her last dance but instead she is awaiting further adventures. The original owner is ready to move onto other ventures and has placed LAST DANCE on the brokerage market for sale. Do not miss this opportunity for a proven blue water cruiser. Easy to see in New Bern, NC with jet service from Delta (ATL) or American (CLT). No Hurricane damage as the boat was on the hard in Annapolis during the storm. I personally delivered her to New Bern and found her to be a wonderful cruiser which sailed effortlessly through the Chesapeake Bay in 30 knots and 5-7’ seas. You won’t be disappointed.